Q1. 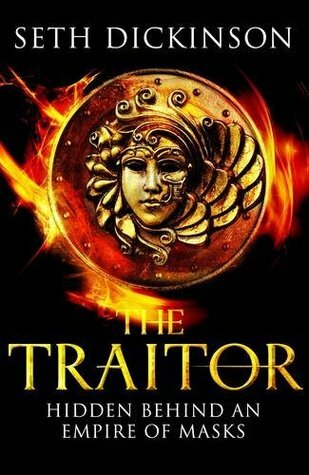 So I’ve read The Traitor, and while others are giving it greater than 5 stars, I settled for 4 stars. I have a feeling that’s because I read it as an ebook – I felt rushed to finish it and perhaps didn’t get into it as much as I could have. What are your feelings on a paperback vs and ebook? I’m sorry you felt rushed! That’s no go od. But maybe the book just wasn’t a perfect fit foryou! If we all reacted to books the same way, books would be a solved problem, and we’d all read books written to a single optimal recipe. I like ebooks a lot! I spend a lot of time reading on the train, where the compactness and one-handedness of ebooks is useful. Sometimes I even think that the smaller number of words on screen changes how my eyes scan, and keeps me more focused on the line by line writing. But that’s just me. I’m scared to try my own book as an ebook — I don’t want to see all the paragraphs changing shape and altering the rhythm! Q2. You have a fascination with prose that isbreathtaking. It made me want to keep reading, no matter what happened! Perhaps the phase that stuck in my mind the most though was ‘using your flimsy allocation of nerveâmeat’. Just that one quote alone highlights the fragility of single humans. Do you think it’s always about the bigger whole? You read my interview in Apex! I’m really flattered. And I think you’ve hit on something fascinating here. When you talk about the ‘bigger whole’ — whether that’s the entire novel, or the entirety of human society, or the universe — you’re talking about something vital, something we have to understand. How do we write a good book? How do we organize a just civilization? How does the universe work? All of these wholes are built out of subunits. Books are made of words and sentences. Civilizations are built of people. The universe is built of fundamental particles and fields. And the properties of those little quanta shape the whole…but so too does the architecture of the whole shape each individual, each person. The same word can mean many things, depending on the story it lives in. So there’s this tension in how we understand big things, right? How much do we try to reduce them to the individual unit? Are civilizations unjust because people are unjust? Is a book good because the prose style is good? We might say, well, these units are relatively powerless—what matters is the big structure. That’s where we can do the most good. The plot matters, the high-level legal and economic architecture matters. Or we might say, no, all the power lies in the basic unit, and in how those units relate. Which is part of the tension in THE TRAITOR. Can one person change something vast? How much can we shape our civilizations, and how much are we shaped by them? Where does a civilization’s personality come from, and can it be rewritten? Baru is convinced that she alone can liberate her world. But she does it by grappling with huge forces, and so she risks neglecting the people around her. Q3. You certainly don’t write about comfortable topics! My reading area is progressively becoming more ‘alternative’. Your novel has been picked up by Tor, and I’d personally consider them a forefront of fantasy, not of queer fiction. What made you choose Baru’s sexuality, or did she choose for herself? N o, I don’t write about very easy things. I’m interested in how to solve the problems we face today, so in this book, I chose to write about those problems. Specifically, I wanted to push back against the argument I sometimes hear, that you can’t write about certain people in certain times because they’d be ‘too oppressed to be interesting.’ To hell with that! That wasn’t how I settled on Baru’s sexuality, though — when I wrote the original short story, I started with the premise, then I knew Baru was the protagonist, and then I needed a close relationship for the story to work. It would’ve played out just the same if she were a straight woman or a straight man, but she was lesbian, and she hadn’t ever doubted it. I don’t think that queer experience should be isolated to a specific submarket. Good writing reflects the full range of humanity, and it helps normalize the statistically skewed picture of the species to which we’re exposed right now. This isn’t about putting on selective goggles, it’s about taking them off. I love thinking hard about a story and landing on a reading that casts it in new light. That was one of my goals with THE TRAITOR, to reward multiple rereads and discussion — that’s why there are so many veiled plots happening around Baru, so many characters with concealed loyalties and so much implied history in the world. Critical discussion of media is really, really rewarding and I try to write to encourage it. I weighed and reconsidered a lot of specific choices in the novel until I had it tuned just the way I wanted it. Q5. Once you have the idea for a story, you write it in a big burst. Do you have any specific routines or rituals you go through? Oh, god. Nothing healthy! Shock doses of caffeine work as a kind of forcing function — I either erupt into thousands of words of productivity or collapse into anxiety and depression. In general I try to enter a flow state, where I can produce quality prose without constant, conscious effort. That means gathering a few supplies before I begin, including some interesting sensory details, an idea of the scene’s blocking, and a stock of names I can use if I need a walk-on character. I try to remove obstacles to the flow. I find it very hard to write with placeholders or skips. I need to understand the shape of someone’s name to build good sentences for them. I need to know what happened last in order to choose what happens next. Then I spend a while in drafting, tearing through sentence by sentence and tweaking everything. Every day I begin by rereading yesterday’s work and editing it, and with luck that puts me back into the flow. Q6. How do you know when a novel or short story is finished? How do you know to step away and let the story speak for itself? On your blog you’ve said there’s still some prose you’d like to fix in The Traitor, do you think you’d actually ever do it? It’s never finished. I step away when I’m exhausted. If I come back a few months later and don’t find much I want to change, I know I’ve done a good job. I’ll try not to meddle with THE TRAITOR any more — but, slyly, I went into the page proofs and tweaked that sentence that I’d made an example of on my blog. So it’s better, at least! Q7. Twilight and Fifty Shades of Grey have turned to writing from other characters’ perspectives to milk more from the one story. Do you ever think you’ll want to go back to that first book and write it from say Muire Loâs perspective? Or are you content with writing a sequel and reading fan-fic. Personally I’d love to see those alternative endings you worked up for The Traitor. I did at one point think about writing two sequels to THE TRAITOR, each one branching from a different choice at the end of the first book. And my current plan for the next book is going to add some new perspectives, people who see the world very differently from Baru. I thought of this book as a scalpel — very sharp, very precise. I want to open up more emotional range in the next one. Q8. 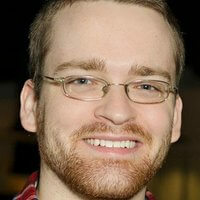 Seth, you work with students – how rewarding do you find it? Do you struggle to relate to students, or do you remember that own time of learning for yourself? It’s the most rewarding! It’s really great to provide support, both for writing skills and just, well, life. At Alpha we try to teach how to be a writer — but also how to be happy in your life, until you find a time and place when you’re prepared to write. In many ways I feel like I can relate to students better now that I’m 26. It’s easier for me to look back on the problems I had at age 17 and understand where they came from. And now I actually feel like I have some results to back me up when I give advice. Q9. Finally, it looks like you are just getting into answering interview questions. Although I might not have the space here to ask you a lot more questions, is there something you wish I had asked? Or conversely, something you wish I hadn’t asked? I loved the question about other characters’ perspectives! I thought you did great, and I couldn’t ask for more. This entry was posted in Author Interviews by Rose Herbert. Bookmark the permalink.